Relocating a business from one place to another is a huge responsibility. It’s not just the owners but the employees of the organization too who have to bear the consequences. In order to make your relocation process smooth and simple, follow these simple tips. place to avoid unnecessary problems and confusion. employer’s responsibility, but it is a united effort. can help in any way possible. 3. Hire professional movers and packers – Professionalism holds the key to moving a business from one location to another. If you do the moving and packing by yourself, it may lead to unnecessary clutter in the process. Therefore, it is advisable that you hire professional storage services and take advantage of their expertise. 4. Use the relocating time to upgrade – Considering that you are shifting from one place to another, this is the best time for any sort of upgradation. It can be anything, better PCs, a better internet connection or a better software. Whatever the change is, it is the best way you can use the relocation process as an opportunity to upgrade your office. 5. Be calm - While moving from one place to another, there are chances of breakage, employee absenteeism, and other such unexpected problems that might delay the process. You have to keep your calm during such times and make sure that the relocation process is handled as smoothly as possible. Keep these simple tips in mind before you relocate to a new office. Gas cylinders are a must in every household. Manufacturers and providers of gas cylinders must be very careful with the storage of cylinders considering that they are very flammable, and one wrong move can lead to disastrous effects. They have to be stored safely both in terms of industrial and household storage. Mentioned below are a few tips to store gas cylinders. 1. It is advisable to store cylinders in a well ventilated and dry area where there are no chances of any kind of explosion or any other form of damage. 2. Store cylinders vertically to prevent them from falling in any direction that may lead to an explosion. 3. Make sure you store full and empty cylinders separately. Also use up the old cylinders first and then proceed to make use of the new ones. 4. Tag and label cylinders appropriately using signage. 5. Divide the cylinders on the basis of the gas used in them such as flammable, oxidant, and so on. 6. Read the guidelines mentioned in any of the rulebooks for storage of gas cylinders. 7. Ensure that you do not store LPG gas cylinders with other cylinders. 8. As a storage provider of gas cylinders, be aware of the kind and the properties of the gas stored in the cylinder. 9. Remember that LPG cylinders should be kept at a distance of 3 meters from other kinds of gas cylinders. It is better if you use a firewall between the cylinders for better safety. 10. Make sure that the cylinders are not within the reach of children. Gas cylinders are used in every industry. Right from your home to a restaurant to any other industrial location, there has to be a cylinder. Thus storage services providers, manufacturers and even homemakers need to exercise extreme caution in the storage and delivery of cylinders. 1. Ensure that the barcodes are intact. 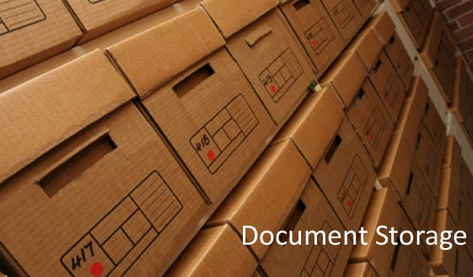 Make sure that each of your documents is protected by a strict barcode that doesn’t get lost or fade out. In either case, you are bound to lose your documents. 2. Keep a dry powder fire system ready at hand to protect your documents during natural calamities such as fire. The dry powder system uses dry chemicals for extinguishing fire which in turn protects your documents from fire as well as water. 3. Ensure that the provider keeps the documents in steel racks rather than plywood ones which are bound to get damaged and are flammable as well. 4. The location of your document storage provider is also crucial. Hence, make sure that the storage place is located somewhere close to the civil defense station to get protection in case of natural calamities. 5. Considering that Gulf countries generally have a warm climate, air conditioning of the storage area becomes a must. This will keep the documents protected from moisture and humidity for a long time. 6. While you’re signing the contract papers at the time of hiring the document storage provider, make sure there are no unwritten withdrawal fees attached to them. If you don’t take care, you will have to shell out a huge sum if you plan to leave the document storage provider any time in the future. Shifting from one place to another is a task, really. Especially if you plan to pack your stuff by yourself, it can really be a tough job. 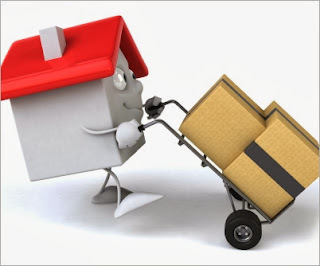 Hence it is ideal to hire professional packing services to get your belongings to a new place without any glitches. Read on why hiring a professional packing service is a good idea. 1. You can save your time – If you intend to do things unprofessionally and by yourself, you are likely to finish your work very late. On the flip side, when you hire professional services, things are done in a precise way that’s absolutely required for the ultimate security of your goods. It also saves time to a great extent. 2. You can save your money - In case you break any of the articles while packing them yourself, you will be incurring huge losses. By going on way of the professional Packing Services, you have a fixed budget and there is no chance of any sort of breakage. 3. You can insure your goods – In case there is any damage on any of the goods, the professional service will be providing you with compensation for it by means of an insurance policy. 4. Your goods will be safe from damage – As the packing gets done by professionals, there is little chance of any kind of damage. And even if damaged you have the insurance policy to provide value for your goods. 5. 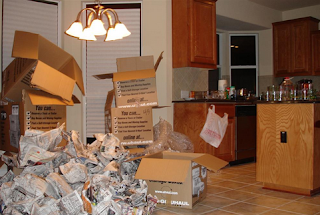 You can get the unpacking done as well – Generally professional packers deliver unpackingservices as well, that in turn gets your complete work done professionally and properly. So the next time you move from one place to another, think about going the professional way. You might have kept dozens of things in a storage unit right from your refrigerator, to your extra cabinet to things such as antiques or posters. And you can’t imagine any form of destruction to them even in your wildest dreams. But one day, there’s a shock, fire opens up on the room. So what do you do then? Can you file a case against the storage service provider, which mostly will not be in your favor? That’s where insurance comes into play. 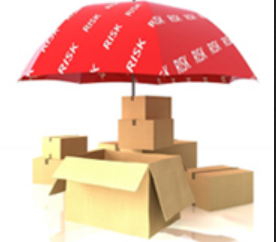 As a consumer, you need to keep your things insured with the storage service provider. Calamities do not come with a warning! So you need to pull up your socks and get things done in the right manner and at the right time. Not all storage services provide insurance for your gadgets even during extreme cases of theft or fire or any other damage. Before renting a storage unit, you need to get it insured first. 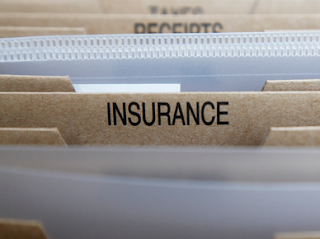 You can insure it using your home policy, but that may not include all the things kept in the storage unit. Alternately, you could send the storage provider a list of all the items stowed along with their value. The storage provider may himself include insurance charges along with the rental changes you’re paying for the stuff. Especially if you have expensive and luxurious items stored in your unit, it is best to keep them secured not just by lock and keys but by insurance as well. You don’t know the future, do you? So why take chances with your priced possessions. Though it’s very difficult to part from certain goods that have a sentimental value, a compensation for the lost object can at least give you some mental satisfaction. Have you just reached your new home sweet home? Itchy hands, fluttering hearts and vivid imagination, there’s just no end to your excitement. In this blog we help you calm your nerves and arrange your house in the most elegant and compact manner possible. Read on. 1. Before starting up with the unpacking, make a rough sketch of how you want the house to look. It could be anything, right from the placement of major furniture such as cabinets, sofas, beds to the minor things such as food cans, show pieces and so on. 2. Don’t be in a hurry. The process of unpacking should be slow yet steady. Think over each and every aspect such as placement of things, water tanks and other essentials. 3. Be careful while unpacking bigger stuff. Sometimes while unpacking bigger things, scratches are bound to occur. So move out the bigger stuff carefully and place them in their respective places. 4. Think about the important things first. For example, the gas, water tank, bathroom arrangement need to be sorted out first. Only then can you look further and arrange the bigger objects. Arranging the most important items will give you a sense of relief and then you can comfortably move on with the other objects. 5. Always keep some space either near the kitchen or any other area where all you people can sit and discuss. You need to talk it out since placement of the other things is still left. 6. Things that you absolutely love but you cannot find a storage place for ought to be sent for placement in a separate storage unit. 7. You need to think practically and not get overly emotional with your arrangements. You need to adjust with your family members’ ideas while not forgetting to put forth yours as well. Especially with things like placement of a poster or a painting, you need to get your point across while still conforming to the needs of other people in the house. Everything in your house is close to your heart. So unpack your love with utmost care and elegance. As a consumer, anything that you wish to store for three months or more falls under long term storage. Sometimes you need to keep your packaged stuff for a long time owing to less space in your house or while looking out for a new home. 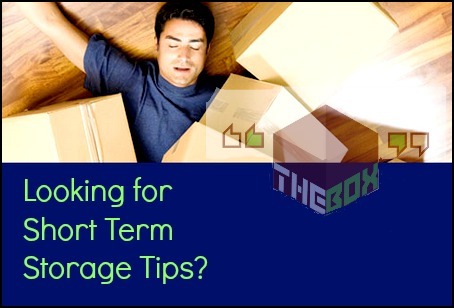 So here we provide you with some simple tips for long term storage. 1. Do not use very huge boxes - Keep your boxes normal in size for ease of use. Using boxes of optimum size is not only comforting but even compact for usage. Store what you can’t stay without precisely in the given space. 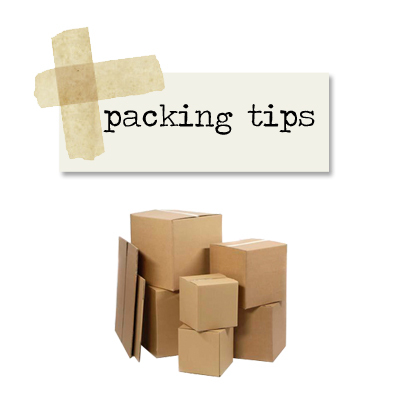 Always pack the heavier items first and then move up with the lighter items. 2. Do not use plastic – Plastic tends to absorb water and that can spoil the stored things. Instead go in for compact boxes that can comfortably store your belongings. Also, don’t cover an item with plastic and then place the same inside boxes as it will not serve the purpose at all. 3. Categorize your items – Mashing up all the items like putting them in the dungeon, will be very discomfiting in the long run. You may forget what item you kept where and you will have to struggle while unpacking it. You can segregate your stuff by putting all the books in the lower side of the box, while putting the CDs and other such items in the upper portion. 4. Use delicate items carefully – Fragile things are bound to break. So it is essential that you either bubble wrap them or pack them carefully in newspapers to avoid any kind of damage. Keep them away from the other items and pack them separately. 5. Use pallets for delivering heavy items – You can buy a pallet from a local store and keep the furniture above the ground and on the pallet to prevent scratches and other form of damage. 6. Use vacuum sealed packaging for bags – Vacuum sealed bags are good as they remove the oxygen from the bags and keep your clothes and expensive materials in good form and for a long period of time. Storage houses have become extremely popular. People have started to downsize their homes or simply leave homes for better apartments and villas. What does one look for when he signs up with a storage company, apart from storage space, it is security. After all, what use is a unit if it cannot promise you safety? Beirut has several units and different facilities offer different security measures. It is your duty to check and verify whether you are getting what you want or at least what you were promised. Let us get a detailed explanation about various secure self-storage units to help you find the perfect facility for your specific needs and requirements. Locks: When you say security, it need not necessarily mean surveillance cameras. It is beyond that. An individual lock is vital with a unique key. Most services either give you a lock; or permit you to bring one yourself. This is because no one other than the rightful owner is allowed inside. 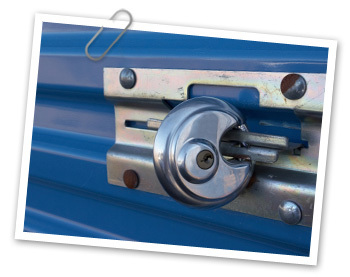 Thus, it can be said, a lock is one of the most crucial security features in a self-storage. Surveillance cameras: Another extremely vital feature of a storeroom. It is a hidden weapon when there is no one around. A surveillance camera can help keep record of everything that is going around. It is indeed one of the best security solutions you can get. However, make sure it is working! 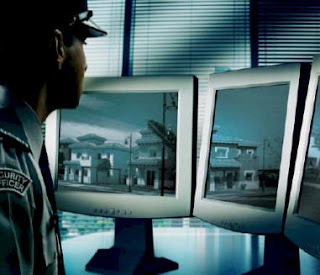 Security guards or managers: You need someone who is there on duty 24*7. They may work in shifts, but at least you have secure services. After all, you trust the storage company with your valuables. The managers and security guards can guard the self-storage unit and you can be at absolute peace. Material of the building: An idyllic unit should be made up of concrete. Since concrete can last much longer than any other material used. Avoid units that have wood or metal as the wood can rot, and crude metal can easily rust and decay. Concrete will only need some fixing from time to time without damaging anything. Thus, look for a material that is durable. Make sure the contract you sign puts forward satisfactory coverage for your items that provide you safety and security. Make use of as many boxes as you can. Pick on sturdy ones, as these help in stacking the items, and don’t require a lot of space either. Boxes could be whatever shape you like, and whatever size you are comfortable carrying as long as you seal them with the right packing tape. Also, ensure that you have an adequate supply of the right packaging material like bubble wrap, shrink wrap, old newspapers, napkins and towels, tissue papers, etc. Similarly, when packing furniture, make certain that you disassemble it. Dressers, vanities, chests, all have drawers that can be removed so that they don’t fall out while you are moving. Besides, it will make the furniture a lot lighter for you to carry. Moreover, wrap the table and chair legs in paper or any other material to protect it. If in case, you have lightweight furniture, it can be stacked upside down on tables. 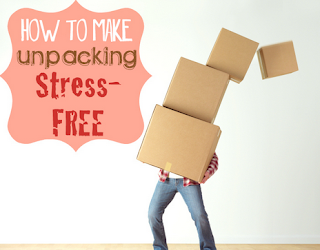 Do not pack all the heavy items together; it will be extremely difficult to carry the weight. Use materials in order to cover up your furniture. This ensures that it is safe and well-protected. Screens, mirrors, etc, can be stored on the edge, but never flat. For crockery, chinaware, and other antiques, you can place a layer of padding inside the bottom as well as at the top of the boxes. This gives an additional protection. What's more, these items should be separately wrapped and placed. More to the point do not fail to label each and every box. Metal tools and equipment should be cleaned and wiped using tissue paper, or a rag that has a few drops of machine oil so as to stop it from rusting. Take out the time and put in the effort, you won’t go wrong with this one! An industry, in which storage space is leased on a monthly basis to individuals as well as businesses, is called a self storage. This could be in the form of big rooms, lockers, boxes, canisters, etc. Thus, public self-storages are ideal for home as well as business needs. It helps people and companies alike to store whatever they do not have room for, don’t need direct access to, or they have so much stuff taking over their homes, a storage unit becomes essential to help de-clutter their lives and their homes. Besides, these places are not just places to stock up your belongings, but provide you a high degree of security as well. The type of unit you choose will be based solely as per your needs and requirements. You will have a range to pick from depending upon the size and price you are comfortable with. Simply put, the bigger your unit, the more you pay for your rent. There are some storage basics that one needs to follow to get the perfect storage. Read on. As mentioned earlier, size does matter. There are different spaces that are rented on a monthly to a yearly basis. The most common size is 10’ x 5’ and it can go up to 10’ x 30’ or even more depending upon the individual or businesses need. Public storage services give you extra locks for added security. Moreover, there are surveillance cameras and digital lock codes that need to be passed before entering the unit. Other factors that may perhaps affect the price are if the unit is temperature controlled. Then there is an open storage unit and an enclosed one. For instance, if you decide to store large items, such as your car, RV, etc. Would you want to rent extra open space or do you want to keep it bounded? However, you cannot stock up perishable items, toxic substances or any form of harmful materials in the units. Also, you are not allowed to sleep or live in the units. If you are running out of parking space, your best alternative is a car storage facility. It comes with several attractive features. If truth be told, there is a growing need for storage because there is no space to park, and the price for parking is shooting and how. In this blog we intend covering the features in addition to the benefits of car storage. Read on. Prevention from weather damage: What good is vehicle storage if it can’t promise you safety and security? And when the weathers are unpredictable, vehicle damage is a common complaint. It can affect the performance as well as appearance of the car. Besides, Beirut is known for its extreme weather conditions. It could be super humid and moist that could cause terrible damage to the vehicle. After all, dampness can rust the car and destroy its functioning completely. Another problem is warping and formation of mould and mildew, if the car is kept exposed outside for a long time. Don’t be fooled into believing that weather damage is only exterior in nature; it affects the interiors as well. Thus, get your car stored with a storage facility. Control the climate: No matter what the weather reads outside, you can always adjust the temperature when your car is inside. These types of storage units maintain an optimal level of temperature inside the unit. Additionally, this type of unit has dust filters along with active airflow systems. Thus, keeping your car free from the pollution found outside; or any other type of damage that may befall on your car. Fewer expenses: When you are going out for a long vacation and your automobile needs to be taken care of, who will do the needful? In any case, for how long can you depend on friends and family? Car storage reduces your maintenance, servicing costs, and repairs if any. This is because the vehicle is taken care of by the professionals at the storage. You can be rest assured that the above three features will be of immense help to you for your automobile. So, wait no more and do the needful, you won’t regret it!